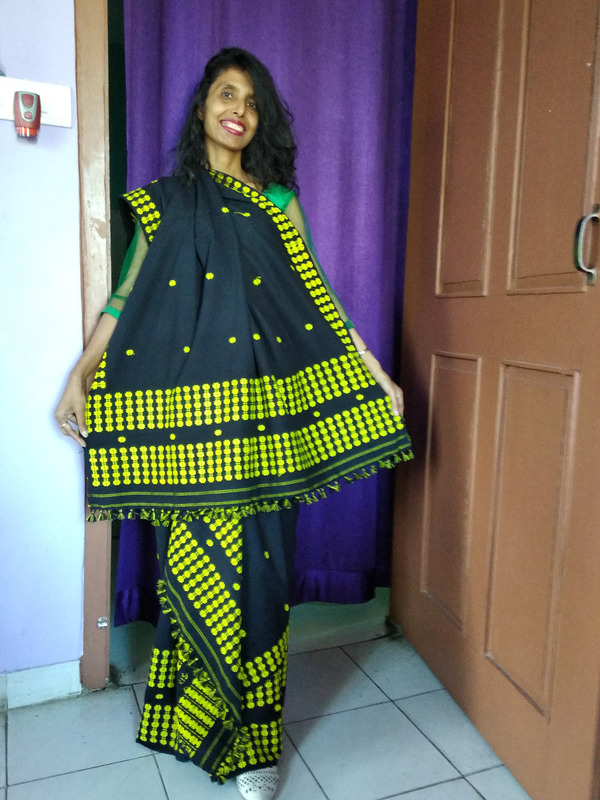 I love all type of fashion. 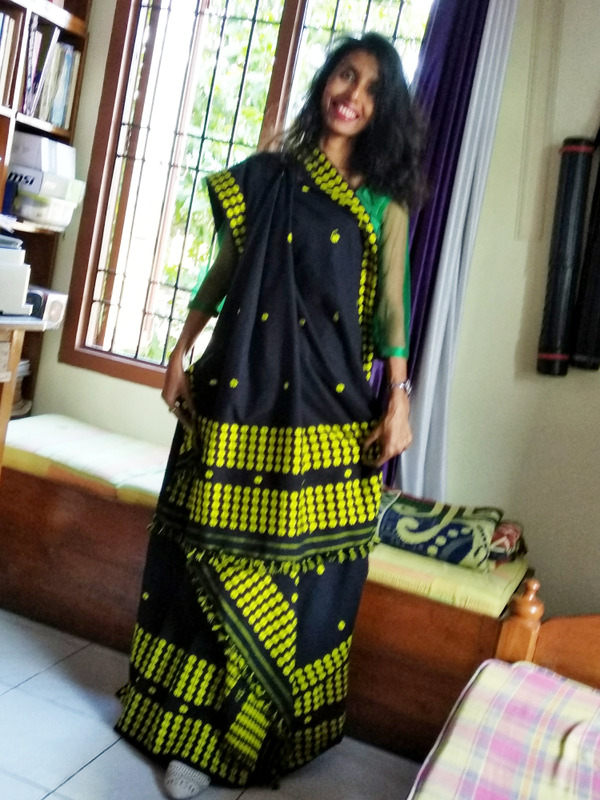 So here Iam trying to create an ethnic fashion with our traditional dress of Assam, mekhela chador. 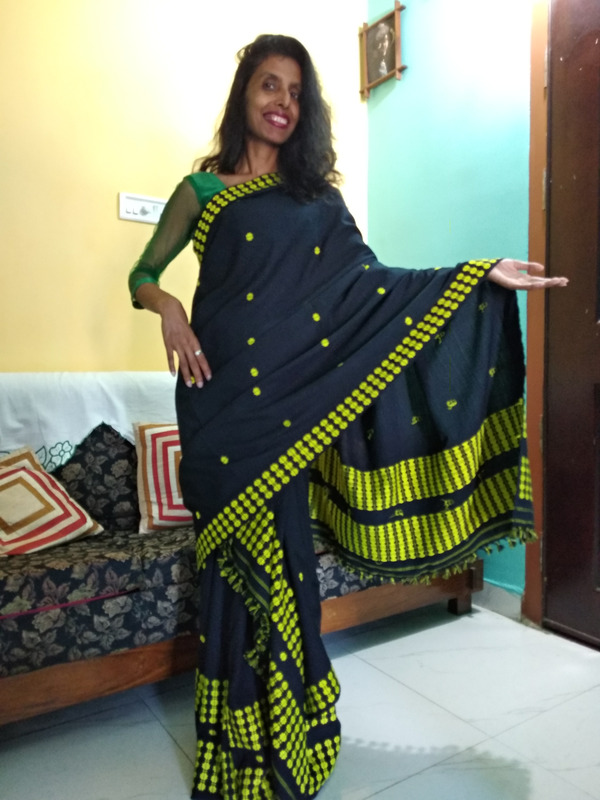 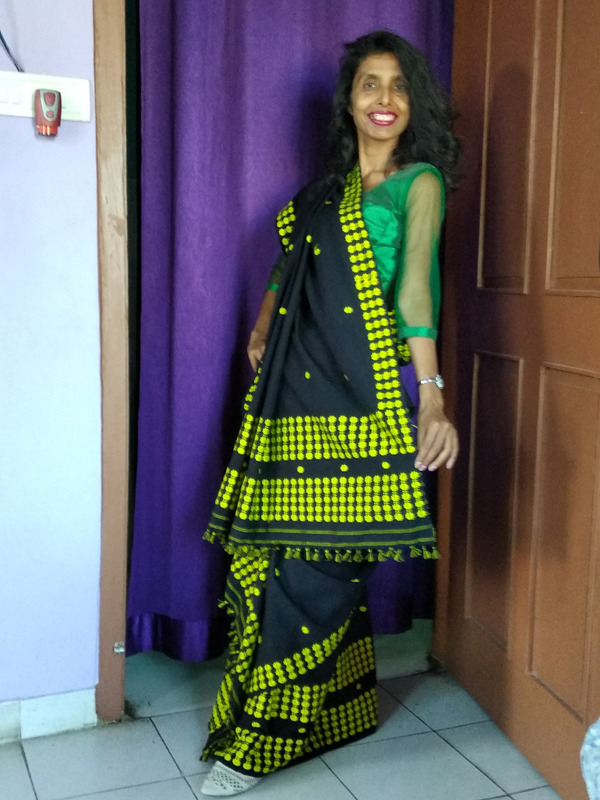 Here Iam wearing printed light yellow with black mekhela chador and a green blouse in my own style to look fashionable and classy. 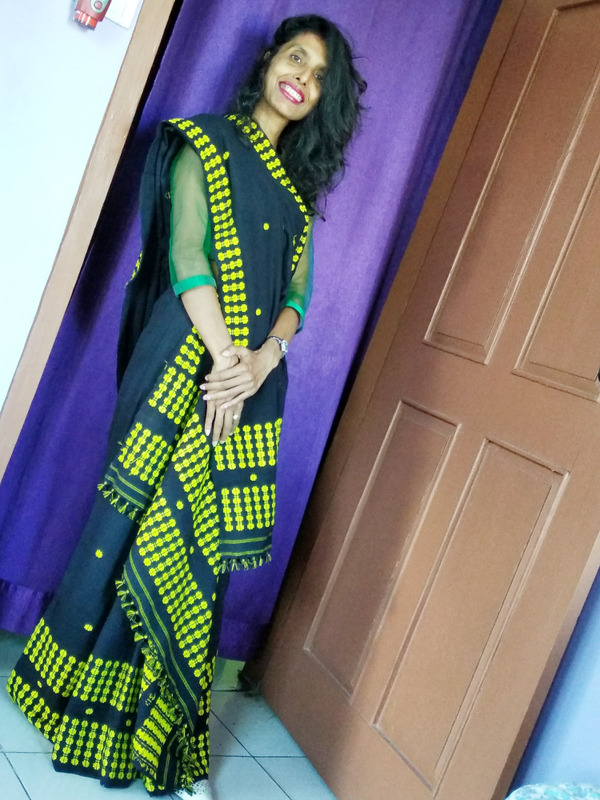 This mekhela chador is made of cotton blend which is comfort not only for summer but also for winter and such mekhela chador is suitable for any type of occasion.